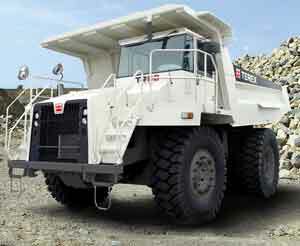 Terex Trucks has announced a further 65 redundancies at its Newhouse plant. Management at the Volvo-owned business blamed market conditions and a downturn in global demand for their articulated and rigid vehicles. The latest reduction will see 55 jobs go from the shop floor as well 10 administrative positions and means the workforce has more than halved since a peak of 630 in 2009/10. Alan Ritchie of trade union GMB Scotland said: “These latest cuts mean more manufacturing misery for Lanarkshire and the Scottish economy, coming less than 24 hours after grim growth forecasts and the threat of a Scottish recession.